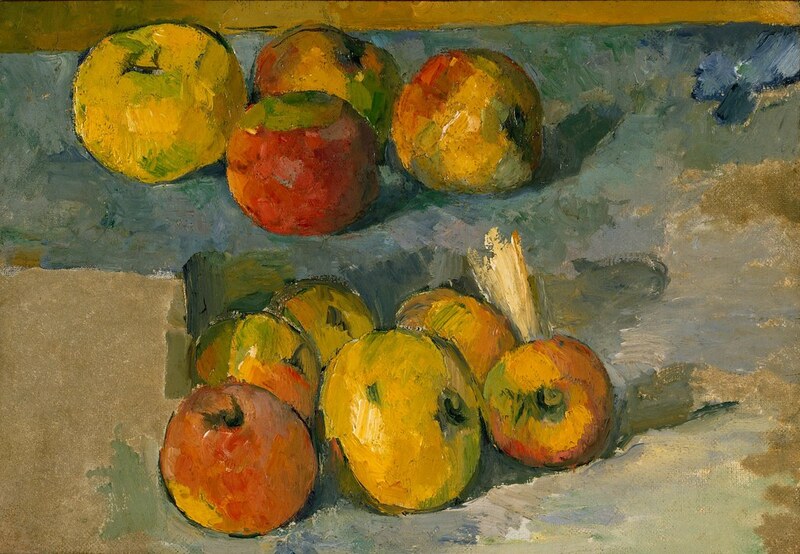 Apples, by Paul CÃ©zanne, 1878-79. Metropolitan Museum of Art, New York. ARTstor is a nonprofit digital library of more than 1.25 million images representing the arts, architecture, humanities, and social sciences together with a suite of software tools to view, present, and manage images for research and teaching. ABM indexes journal articles and other resources on artists, art movements, art theory, art criticism and art history beginning with Impressionism in the late 19th century to the present. Scholarly art encyclopedia covering Western and non-Western visual art. The vast content of Grove Art Online and other Oxford art reference resources are made available in one location. New to art? This is a good place to start. Art gives us access to the way people at different moments in history have understood the world. Jump in and explore! Check out one of their amazing videos below! 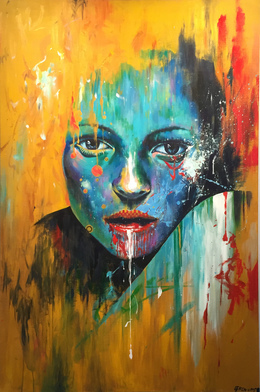 Artsy features the world’s leading galleries, museum collections, foundations, artist estates, art fairs, and benefit auctions, all in one place.Artsy is used by art lovers, museum-goers, patrons, collectors, students, and educators to discover, learn about, and collect art. KATE, by Minjae Lee. Art Angels, Los Angeles. A Biographical Dictionary of Artists" provides an unparalleled guide to the figures who have dominated the visual art throughout the ages. International in scope and coverage, the book contains authoritative entries on non-Western artists as well as more familiar figures. Great reference material in art, art history, art criticism, aesthetics, and art education. A biographical and methodological intended as a beginning point t learning the background of major art historians or western art history. Oxford Art Online offers access to the most authoritative, inclusive, and easily searchable online art resources available today. This reference work deals with all aspects of Western art from 1300 to the present day. It provides information on painters, sculptors, and graphic artists, technical processes, terminology, theory, schools, movements, patrons and collecting, and much more. The Wed Gallery of Art is a virtual museum and searchable daabase of Western(European) fine arts of the Medieval, Renaissance, Baroque, Neoclassicism, Romanticism, Realism, and Impressionism (1000-1900), currently containing over 40,100 reproductions. Contains notes and sample essays by students and model paragraphs by students and scholars to help students understand what to say and how to say it when writing about art. Art Abstracts™ is a comprehensive resource for art information featuring high-quality indexing and abstracting of over 600 periodicals dating back to 1984, including 280 peer-reviewed journals, as well as indexing and abstracting of over 13,000 art dissertations, and indexing of almost 200,000 art reproductions, which provide examples of styles and art movements, including works by emerging artists. The database covers fine, decorative and commercial art, folk art, photography, film, and architecture, and also includes a database-specific thesaurus. ARTbibliographies Modern (ABM), a premier source of information on modern and contemporary arts that provides full abstracts of journal articles, books, essays, exhibition catalogs, PhD dissertations, and exhibition reviews dating from the late 19th century onwards, including photography since its invention. The coverage of ABM is wide-ranging and includes performance art and installation works, video art, computer and electronic art, body art, graffiti, artist's books, theatre arts, conservation, crafts, ceramic and glass art, ethnic arts, graphic and museum design, fashion, and calligraphy, as well as traditional media including illustration, painting, printmaking, sculpture, and drawing. Art Index Retrospective contains hundreds of titles from feature articles, interviews, film reviews, book reviews, bibliographies, exhibition listings, conference reports, anthologies, and editorials. Coverage includes fine, decorative and commercial art. An online index of 42 art journals published in the U.S. during the 19th century. 19th Century Art Periodicals offers information on artists and illustrators, painting, sculpture, drawing, photography, architecture and design, exhibitions and sales, decoration, and collecting. Also contains articles, art notes, stories, poems and advertisements. JSTOR is a not-for-profit organization initially funded by the Andrew W. Mellon Foundation, dedicated to the development of a digital library in support of the arts and sciences. JSTOR is comprised of the full-text of more than 1,000 academic journals covering a wide range of disciplines. Approximately 165 art, architectural history, and archaeology titles are included. Artstor is a nonprofit organization committed to digital collection solutions for universities, museums, schools, and libraries worldwide. A digital image sampler and browsing resource for the vast photography holdings of George Eastman House. AP Images gives you access to the world’s largest collections of historical and contemporary photographs, so you have all the imagery you need, right when you need it. CAMIO® — OCLC's Catalog of Art Museum Images Online — is a growing online collection documenting works of art from around the world, representing the collections of prominent museums. the collection contains unparalleled holdings in every ensuing period of visual culture up to the present day, including such distinctly modern forms as film and industrial design in addition to more traditional mediums. Intended as a universal museum since its inception in 1793, its collections—among the finest in the world—span several thousands of years and a territory that extends from America to the confines of Asia. The New York Art Resources Consortium (NYARC) consists of the research libraries of three leading art museums in New York City: The Brooklyn Museum, The Frick Collection, and The Museum of Modern Art. The University of Miami Digital Collections provide online access to primary source materials to support teaching, learning, and research at the University and worldwide. A commercial image database featuring hundreds of thousands of images to be licensed. It is handy for a quick image reference. Directory of links to Web sites with the focus on fine art painting and sculpture. Also includes a directory museums worldwide. Annotated links to selected art history departments, research resources, resources for visual collections, image collections and online art, online exhibits, and art museums. Bi-monthly USA guide to fine art photography exhibitions, private dealers, auctions, events, and resources. A chronological, geographical, and thematic exploration of the history of art from around the world, as illustrated by the Metropolitan Museum of Art's collection, extending from prehistory to the present. 16 million letters, photographs, diaries, oral history interviews, sketches, scrapbooks, business records, and other documents that support the study of the history of the visual arts in America. Website hosted by Prof. Walter Darby Bannard for art criticism, links, etc. Arcade is the catalog for the New York Art Resources Consortium (NYARC). Arcade unites the collections of the Frick Art Reference Library and the libraries of the Brooklyn Museum and The Museum of Modern Art. An open access, searchable web site featuring video and audio interviews, photographs, biographies, and professional resumes by and about Caribbean artists, RSS feeds of prominent Caribbean art critics, and other information on and by Caribbean artists. Artnet is a commercial database of auction results covering the work of approximately 176,000 artists in over 4,000,000 sales records. MoMA Library has made its Latin American/Caribbean holdings searchable through DADABASE. NGA Images is a repository of digital images of the collections of the National Gallery of Art. On this website you can search, browse, share, and download images. A standards-based reproduction guide and a help section provide advice for both novices and experts. More than 45,000 open access digital images up to 4000 pixels each are available free of charge for download and use. A digital catalogue that contains in-depth curatorial and conservation research on the museum’s collection, including high-resolution, zoomable images and other interactive elements. Featured collections include the work of Caillebotte, Whistler, Ensor and Monet. AskART is an online database containing close to 300,000 artists, with information ranging from biographies to auction records. 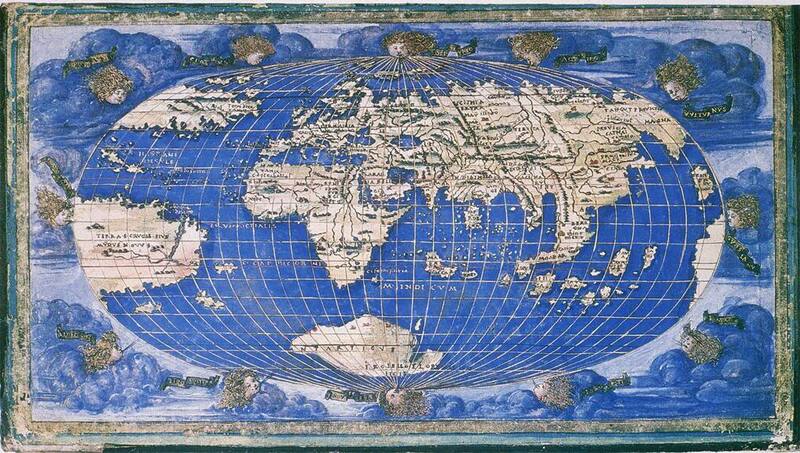 Gallica is the digital initiative of the National Library of France. Gallica contains over 1,000,000 digital objects including books, periodicals, maps, manuscripts, images, sound recordings, and scores. The not for profit foundation the International Advertising and Design DataBase was founded in 2014 in the Netherlands. It is the goal of the Foundation to publicize as much information as possible through the IADDB and to ask the public to actively participate by adding images, names, dates and all other kinds of information. 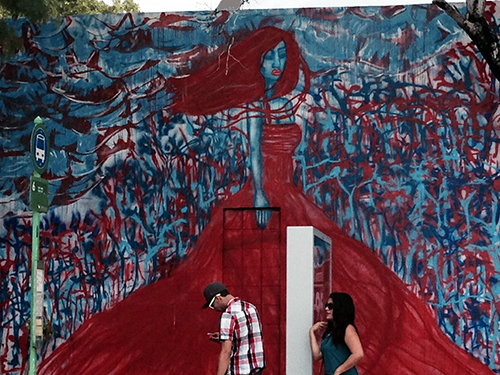 Located in the heart of Miami Beach, the Bass Museum of Art offers a range of dynamic contemporary art exhibitions. Educational programs, artist projects, lectures, concerts and free family days complement the works on view. Dedicated to the support of emerging and mid career contemporary artists from Latin America. Since 2002, CIFO has granted more than $1 Million to over 90 artists from Latin America and has exhibited their work in our signature art space in downtown Miami — The CIFO ArtSpace. The de la Cruz Collection Contemporary Art Space is privately funded by Carlos and Rosa de la Cruz. This space serves as an extension of their home, where for over 25 years they have shared their collection with the public. The primary purpose of this space is to provide education and awareness in the visual arts. Educational programming includes lectures, artist-led workshops, docent-led tours, scholarship opportunities and student travel initiatives. The Lowe Art Museum is the largest collecting art museum in the South Florida region, and one of the few in Florida with a far-ranging general collection. From its inception in the 1950s, the collection has developed a diverse collection capable of serving the educational and cultural needs of the University of Miami and the greater South Florida community. The Lowe's permanent collection takes on added significance as a reflection of Miami's multicultural population, and as a tool to support and help bridge cultural gaps in our communities. The Lowe maintains 11 collecting departments. The Margulies Collection at the Warehouse is a non-profit institution located in a 45,000 square foot retro-fitted warehouse in the Wynwood Arts District of Miami. The Warehouse presents seasonal exhibitions from the collection of renowned collector Martin Z. Margulies as well as educational programs, & special exhibitions and an international loan program. The Museum of Contemporary Art (MOCA) is dedicated to making contemporary art accessible to diverse audiences – especially underserved populations – through the collection, preservation and exhibition of the best of contemporary art and its art historical influences. PÃ©rez Art Museum Miami is a modern and contemporary art museum dedicated to collecting and exhibiting international art of the 20th and 21st centuries. In Miami, Florida, since 1993, the RFC is exhibited within a 45,000-square-foot repurposed Drug Enforcement Agency confiscated goods facility and is publicly accessible. The Contemporary Arts Foundation (CAF) was created in 1994 by Don and Mera Rubell with their son Jason Rubell to expand the RFC’s public mission inside the paradigm of a contemporary art museum. The Wolfsonian FIU The Wolfsonian's collections comprise approximately 180,000 objects from the 1850s to 1950s—the height of the Industrial Revolution through the end of the Second World War—in a variety of media including furniture; industrial-design objects; works in glass, ceramics, and metal; rare books; periodicals; ephemera; works on paper; paintings; textiles; and medals. The Wynwood Arts District is home to over 70 Art Galleries, Retail Stores, Antique Shops, Eclectic Bars, and one of the largest open-air street-art installations in the world. Miami Art Guide is the ultimate source of information about exhibitions, plays, concerts, events, performances, book readings, film screenings, and more. The National YoungArts Foundation identifies and nurtures the most accomplished young artists in the visual, literary, design and performing arts and assists them at critical junctures in their educational and professional development. YoungArts serves as the exclusive nominating agency for the U.S. Presidential Scholars in the Arts, the country's highest honor for young artists. Every type of museum is represented including art, history, science, military and maritime, and youth museums, as well as aquariums, zoos, botanical gardens, arboretums, historic sites, and science and technology centers. The national organisation for professional art and design historians, researchers or students who are involved in education, galleries, museums and art-related publishing, or any other activity linked with art and design history. Promotes excellence in scholarship and teaching in the history and criticism of the visual arts. A society open to all who have an interest in the application of computers to the study of art and design.